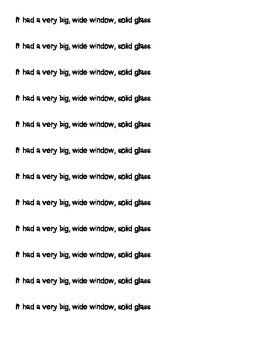 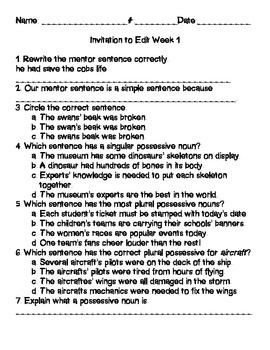 This file contains 4 week's worth of mentor sentences. 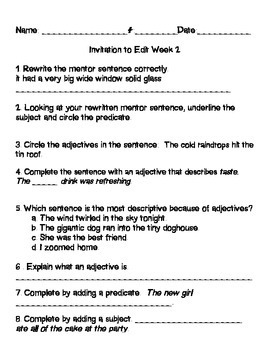 There is an invitation to edit quiz for each week. 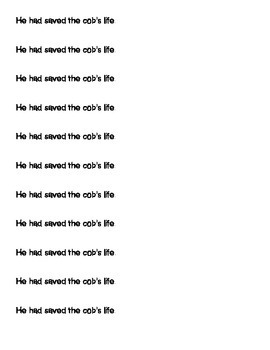 The mentor sentences are from various parts of the book.